Spreading Manure with More Than One Type of Application? Redwood Metal Works and Artex manure spreaders are good for multiple types of manure applications! We want to share with you this letter from Bryan, our customer in Minnesota, who tells us just how the spreader works for ALL of his applications. “I have been a custom applicator for 12 years now and have spread everything from pen pack manure and chicken litter, to lime and rotten beets, and even chemical and fuel spill sludge clean up. In that time I have tried just about every spreader that is on the market and have found that most spreaders are good for only one application. I could not use my lime spreader to spread manure and I could not use the manure spreader to spread heavy waste and sludge clean up or even litter. However, the ARTEX solved that problem. Now with one spreader, I can spread every single thing that farmers and industrial producers throw at me. It is amazingly simple to operate and with hired men, that is very important. The ARTEX is also extremely durable. In over 2 seasons of heavy spreading, I have only had to replace some shear bolts on the driveline. We have had no problems with gearboxes, bed chains or any other part of the spreader and we have run rocks, chunks of concrete and even manhole covers through the spreader. I don’t recommend this but in my line of work, we often get obstructions and that has been the downfall of most spreaders. However, the ARTEX handles these obstructions and keeps on spreading. 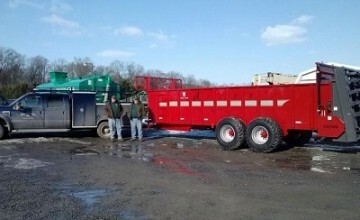 Check out the videos of the CB Pull Type Manure Spreader in action! Interested in owning your own CB 900 or CB 1200? 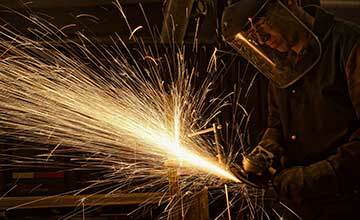 Please contact your nearest Redwood Metal Works – Artex dealer for pricing and more information. 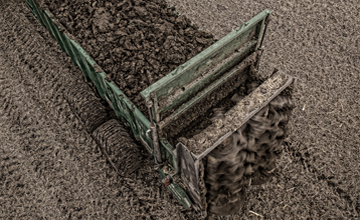 Tell us your story on spreading manure, we’d love to hear it in the comments below!